The upcoming week’s episode is titled ‘Weaponizer’ and it will have a tense confrontation of Uriel with Lucifer. Uriel told him that he has come to take Chloe. If you can recall, she was supposed to be dead at the end of the season 1 finale. But, the devil saved her life by exchanging his life and a promise to send him mother back to hell. It looks like the time for Chloe to die has come. The promo released for next chapter shows Chloe wounded and bleeding after colliding with a big truck. It can be assumed that Uriel is behind this accident. However, she survived the collision. But, Uriel is not in a mood to give up. He told the devil that he has returned to conclude what he started. Hearing the warning, Lucifer became over concerned about her well being. This made Chloe wonder why he is so over-concerned. He just wants her to be safe and save from Uriel and his plans. Apart from Amenadiel and Chloe, Uriel is also on Earth to remind and force Lucifer to bring Charlotte back to Hell. Both the angels have different views over the matter and eventually, their confrontation transformed into a fight for Chloe and Charlotte. Apparently, the God has sent Uriel to Earth to talk Amenadiel about his powers. He may have come to help and deal with the Amenadiel’s powers. In the last episode, he has completely lost them. Moreover, he forced him to tell Lucifer about his lost powers. Will Amenadiel tell the devil the truth? What will the devil do regarding the Charlotte and Chloe? 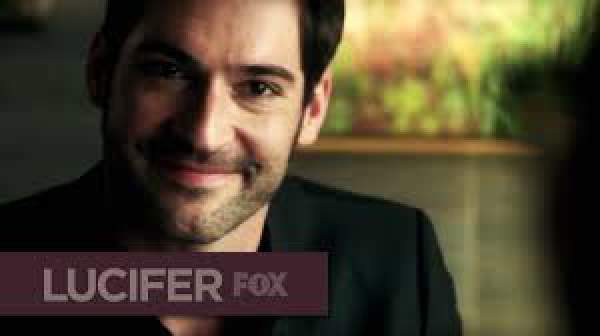 Lucifer season 2 episode 5 will air on Monday, October 24 on the FOX network. So, stay tuned to The Reporter Times and don’t forget to share it on social media sites. Meanwhile, what do you think what will the devil do the next? Will he be able to save both the ladies? What are your views and thoughts regarding the upcoming storyline?